Mr. Jay SHA is a U.S. patent attorney, admitted in Illinois, USA, and registered before the USPTO, and is qualified as Chinese patent attorney and trademark attorney. Mr. Sha obtained his J.D. and LL.M. degrees from John Marshall Law School, and BSEE degree in Electrical Engineering from Zhejiang University. 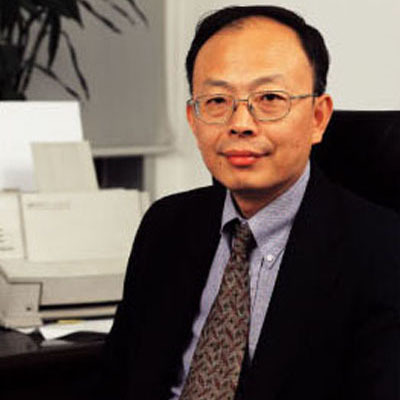 He started his IP career in China in 1982, and worked at major Chinese and U.S. patent firms for many years. Mr. Sha has been working with Liu Shen & Associates since 2008, and he is the principal of Liu Shen & Associates US LLC. Mr. Sha has extensive experiences in various aspects of intellectual property laws, including patent and trademark prosecutions, litigations, administrative enforcement, licensing, and transactions. He is a frequent speaker and author of various topics of patent, trademark, and other IP laws. He is now focused on IP counseling, right to practice, and IP due diligence, while working on complex issues in prosecution and enforcement. Ms. Shang joined Liu, Shen & Associates in 2016. She specializes in trademark application, recordal of assignment and name/address change, review on rejection, opposition, non-use cancellation action, invalidation action, etc. Ms. Shang graduated from Shandong University in 2015 and obtained her Bachelor’s Degrees both in Japanese and international economics and trade. Ms. Shao joined Liu, Shen & Associates in 1997 and became a qualified patent attorney in 1998. She specializes in patent prosecution, re-examination, patent invalidation, IP litigation, and client counseling with a focus on electrical engineering, automatic control, telecommunication, electronics, computer science as well as Internet & e-commerce. Ms. Shao got her qualification as an attorney at law in 2006. She has participated in several patent lawsuits including patent infringement and patent invalidation. 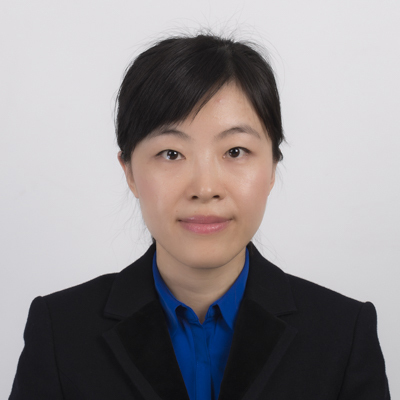 She has been leading patent licensing counseling, patent invalidation, pre-litigation analysis and patent infringement litigation relating to SEP and non-SEP.
Ms. Shao had a master's degree from Beijing Jiaotong University in 1995. Before joining this firm, Ms. Shao worked as a teacher at Beijing Institute of Technology for two years. She received training from Finnegan, Henderson, Farabow, Garrett & Dunner, LLP, Washington D. C. in 2004. Ms. Shi joined Liu, Shen & Associates in 2002 and became a qualified patent attorney in 2003. She specializes in patent prosecution, re-examination, patent invalidation and client counseling with a focus on electronic & information engineering, automatic control, computer science, telecommunication technology, image processing as well as internet application technology. Ms. Shi has participated in several patent lawsuits including patent prosecution and patent invalidation. She is working on patent licensing counseling, patent invalidation, patent infringement analysis as well as patent analysis and search in the firm. Ms. Shi had a master's degree from Beijing Jiaotong University in 2002. And she got the degree of Master of Laws in Intellectual Property Law from the John Marshall Law School in Chicago, the United States of America on January 2009. She received training from China University of Political Science and Law in civil and commercial law during 2006-2008. JieLI v. Himax, in the patent invalidation case of JieLI v. Himax, Ms. Shi and her colleagues represented Himax and finally won the case. Ms. Song joined Liu, Shen & Associates in 1996 and became a qualified patent attorney in 1998. She specializes in patent prosecution, invalidation, counseling, and patent litigation with an emphasis on polymer, catalyzer, petrochemicals, health care, environmental sciences, battery, semi-conductive material, chemical engineering and pharmaceuticals. Ms. Song got her qualification as an attorney at law in 2000. Starting from Joining Liu Shen, Ms. Song helps clients of all sizes to establish and grow patent portfolios, align intellectual property strategies, establish their freedom to operate, and resolve infringement disputes. 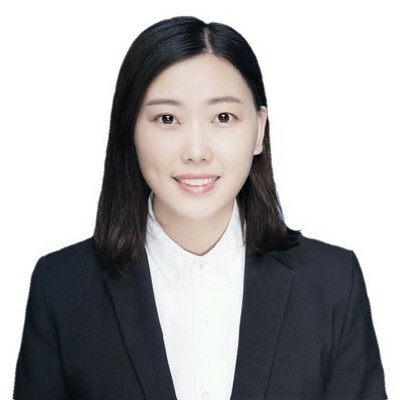 Ms. Song has extensive experience in patent invalidity proceedings and patent infringement lawsuit especially in chemical fields and has represented numerous corporations in intellectual property disputes including patent invalidation and infringement litigation inChina. Ms. Song received a Bachelor’s degree and a Master’s degree in Polymer Science fromSichuanUniversityin 1986 and 1989. She then studied in China University of Politics and theJohnMarshallLawSchoolfrom 2002 to 2004, and obtained a Master’s Degree of Law in 2004. Before joining Liu Shen, Ms. Song worked as an engineer in the Beijing Leather Industry Research Institution. - Patent prosecution inChina, China Invention and Patent Magazine, 2003. Ms. Song joined Liu, Shen & Associates in 2008 and became a qualified patent attorney in 2012. She specializes in patent prosecution, re-examination, and client counseling with a focus on mechanical engineering, manufacturing engineering, as well as automatic control. Ms. Song had a master's degree from University of Liverpool, UK in 2004, Bachelor’s degree from Beijing University of Aeronautics and Astronautics in 2003. Dr. Sun joined Liu, Shen & Associates in 2004 and specializes in patent prosecution mainly in fields of Chemical Engineering, Polymer Chemistry, oilfield chemistry, Fine Chemistry and Photochemistry. Dr. Sun has drafted patent applications for clients, and has answered many office actions for some major corporations, and provided services of patent retrieval and infringement analysis. In addition, she has also represented clients in many patent reexamination cases, some patent invalidation cases and patent litigation cases. Dr. Sun had obtained a doctor degree in 2004 majoring in Physical Chemistry from Tsinghua University. She received training from John Marshall Law School, UAS in 2013. Ms. Sun joined Liu, Shen & Associates in 2012 and became a qualified patent attorney in 2014. She specializes in patent prosecution and client counseling with a focus on mechanical engineering, manufacturing, precision instruments, rehabilitation robotics and MEMS. Ms. Sun received a Master of Science degree in Mechanical Engineering from Columbia University in 2009 and a Bachelor of Engineering degree in Precision Instrument and Mechanics from Tsinghua University in 2011.